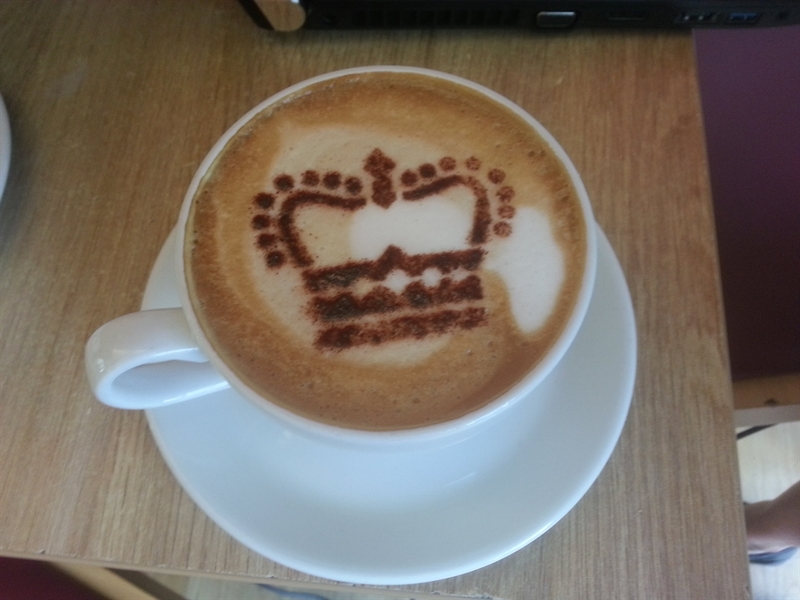 In a striking setting at the end of the famous Royal Mile in Edinburgh, The Café at the Palace of Holyroodhouse is one of the ultimate Afternoon Tea destinations. Its outdoor terrace in the historic Mews Courtyard gives diners views over Arthur's Seat, and the tea is served in specially commissioned chinaware. In a striking setting at the end of the famous Royal Mile in Edinburgh, The Café at the Palace is one of the ultimate Afternoon Tea destinations. 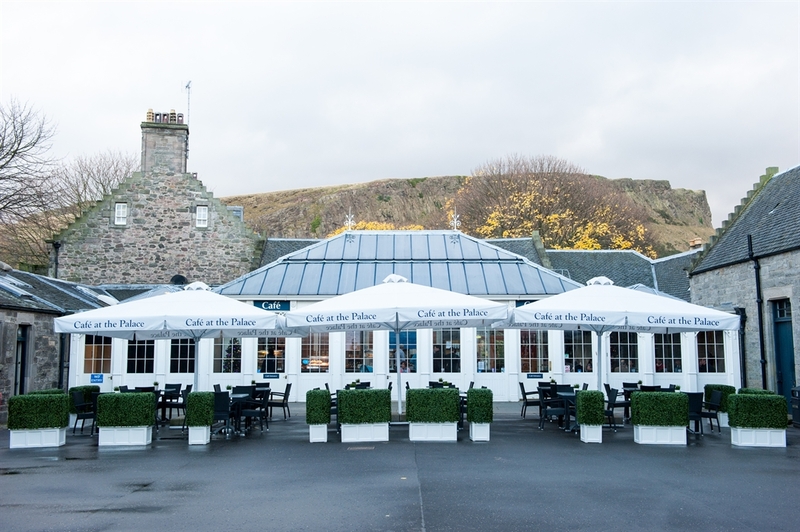 Its outdoor terrace in the historic Mews Courtyard gives diners views over Arthur's Seat, and the tea is served in specially commissioned chinaware. Dedicated to using only the very finest of local ingredients and produce, as demonstrated by their Visit Scotland Taste our Best accreditation. 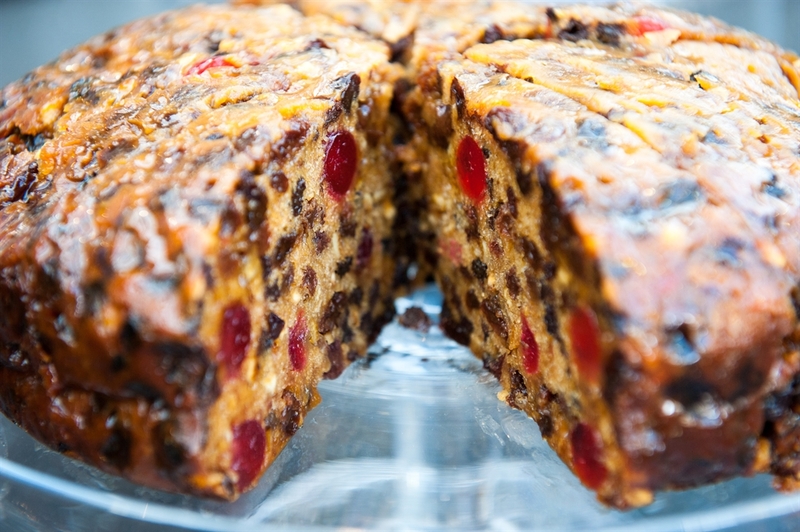 By sourcing all of their ingredients locally you can be assured that only the freshest and tastiest of Scottish delights go into creating their award winning afternoon teas. A wide selection of Tea Palace loose leaf teas are served and you can indulge in a crisp glass of Pannier Brut champagne or refreshing Edinburgh Gin cocktail. Fully gluten free, dairy free and vegan afternoon teas are available. Great care is taken in providing for all guests, even the little ones aren’t forgotten about with a special Children’s afternoon tea. 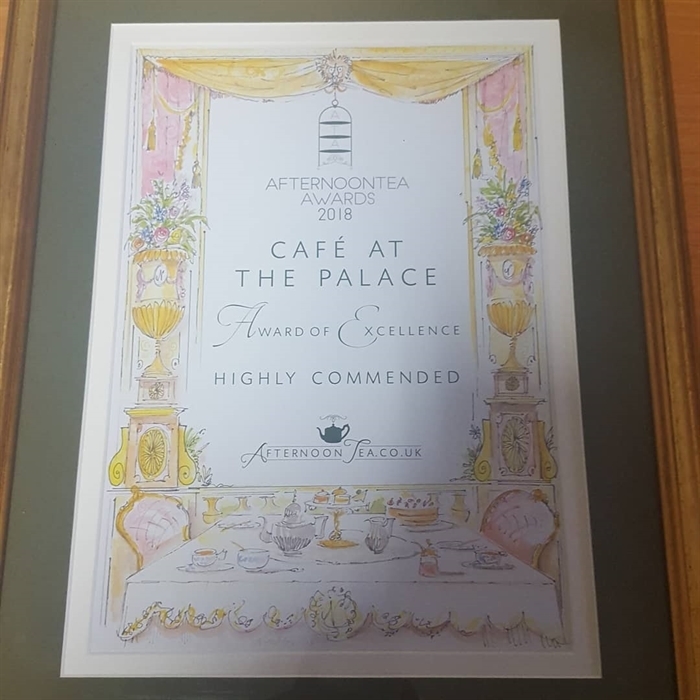 The Cafe at the Palace was awarded a Highly Commended certificate at the Afternoon Tea Awards 2018 in recognition of its high quality Afternoon Tea service.